My mom moved in three weeks ago to Three Oaks Assisted Living & Memory Care. They're very caring, professional, helpful, and have really gone out of their way to make my mom feel at home. They're always inviting her to participate in activities and events there. The food is excellent but they don't have as many choices on a daily basis. They have two choices at every main meal, and there's always the standard that they always have. One of the things that's nice is their servers get to know their residents. It's nice how personalized the food is for the residents, too. Everyone is excellent. They have about eight or nine fireplaces, which is amazing for a smaller community and a lot of multi-purpose rooms. The apartments are nice, too. They keep them busy with activities that stimulate the brain and keep them engaged socially and cognitively. I visited Three Oaks. The rooms were quite spacious. I did not care for the area where they would put my parents because they were in the beginnings of Alzheimer's. There wasn't an in-between stage which was where my parents were now. The dining room was clean and spacious. They had amenities, like an exercise room that was quite spacious. Dear Carolyn, Thank you for visiting our community and taking the time to leave us feedback. I want to apologize if this was not covered in your tour, but do offer a Transitional Memory Care program, called the Residence Club?, that may be just what you are looking for. This group provides extra stimulation and support for those who are facing mild cognitive impairment but are still able to manage daily tasks. We would love to send you more information regarding this program and see if it may be a fit for your loved ones. Please feel free to reach out to our Executive Director, Linda Houlihan, at 314-997-4532 for any more questions. Thank you. Three Oaks is absolutely excellent. I looked at a number of different places, and this was by far the most beautiful and only four years old. The care that my mom gets is phenomenal. They check on her constantly, even at night even though she has her own apartment. It is not a nursing home, but she gets fabulous care. The meals are nutritional and delicious. I am able to go and have meals with her, which I’ve done several times. It has a very friendly environment. The staff is absolutely wonderful, and the residents are actually out and about. There is a ton of activities, and people are involved. They are hving a dance this Saturday night, which I might go to and spend some time with her and some of the seniors. I can’t say enough; it is a wonderful place. Three Oaks did have 2 bedroom units -- probably 800 sq. fit. They have gardens and a lot of public spaces -- very attractive place. The apartment was going to be $6000 a month. 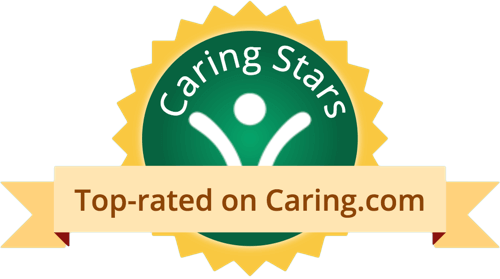 They had care levels on a monthly basis; they were more expensive than the other facility. Everyone at Three Oaks has a smile on their face ALL THE TIME. The smaller community really makes you feel like you are at home. My parents were in a larger facility and they got forgotten, here at Three Oaks, they care about each resident. My family was very pleased with the Respite Care my mom received during her stay in the Memory Unit. Staff was kind and understanding. My aunt is at Three Oaks. The food is great and the staff is wonderful. The activities are great, and she does all of them. I’ve visited Three Oaks. It was a very nice, lovely place. The staff who showed me around was very professional. The dining area was beautiful. The people seemed happy. It’s new, but I didn’t see any activities. My parents moved into Three Oaks about a month and a half ago. The community is beautiful and the best one we looked at. Everyone that we run into, with a couple of exceptions, is excellent, and they really take good care of my mom. There’s bingo and movies, and my mom particularly enjoys the church service and getting together with the other ladies to pray the rosary. They have days they go out to restaurants, and also bring in all different kinds of folks and therapy dogs. It’s really an amazing community. The food is better than average. They have a very nice one-bedroom with a little den and the largest kitchenette I’ve found in assisted living. We visited Three Oaks. It was very nice, very clean, the people were friendly, and there were a lot of activities for the seniors. If I was going to do this, that would be one of my first choices. They're willing to work with us on the cost. My mother is living on a fixed income, so cost is a big deal. The rooms were clean, and neat. The staff seemed to be attentive to your needs. They were very nice, polite, and everybody seemed to be happy there. If there was a place I was going to take her, this would be it. My mother lived at Three Oaks for approximately six months in the Memory Care Unit. The entire facility is clean and beautiful. All the caregivers were attentive to the needs of the residents. They made sure my mother was comfortable, content and always active. We place my mother in The Three Oaks. We choose this because my mother has a severe case of Alzheimer's, and they have an Alzheimer's unit. It is also one or two blocks away from my sister. So, location element is very important relative to family. It is a brand new facility, and the patient to staff ratio is about 11 to 1. They have more than adequate staff. They have daily organized activity designed specifically for seniors. They have daily movies and then they talk about the movies. The food is excellent. It has a homey feeling and each of the residents have their own apartment. My mom's apartment is very spacious. I think they can improve on the in-house medical oversight because the doctors only come once a week, and they should come more often. My mother lived at Three Oaks and we were overwhelmed by her enjoyment of her residence, the food and the care she received. As a woman who loved to cook, the fact that she really liked the food was amazing to me. All of the staff but especially her caregivers were sensational. The facility is lovely, clean and well maintained. Even the gardens are refreshed seasonally. Our family felt welcome whenever we visited. There are not enough "Stars" available to correctly review 3 Oaks. I was able to visit Three Oaks, and I would highly rate this facility. The rooms were wonderful, and it's all brand new. From what I saw the facility is very nice. They do have a lot of activities, and their activities director was more towards memory care activities. There are not enough superlative words in the dictionary to describe Three Oaks. As I watched it being built several years ago, I always though that hopefully we could get my dad to move there. We moved him there in September of 2012 and he said he would "try it". Quite an accomplishment to get this man, who had been a farmer all of his life to move into what he called "the big city". The care that my dad received, whether he wanted it or not (he always thought he didn't need any help) was awesome. Everyone, from the housekeeping crew to management is just top-notch. Everyone there cares about all the residents and they all want each and everyone of them to be happy. Living at Three Oaks is like living at a luxury hotel. As my farmer dad would say "you're not going to find any fly specs on these walls". The staff makes everyone feel like family. There are many activities for the residents to participate in if they choose to do so, the dining room offers a wide variety on their daily menus and they went out of their to make sure my dad had his eggs "over easy" during the last months of his life. Yes, my dad passed away peacefully this past week after living at Three Oaks for almost 2 years. I thank the good Lord that he had a place like Thee Oaks to spend the last of his 90 years on this earth. I would give them 10 Stars if that were an available rating. My parents are in Three Oaks, which is right by my daughter's house. They were there before for respite, and now we just put them in there in assisted living. Everything is great. It's a very small place. The rooms were nice and big enough. The food is very good. It's close to us, close to the kids. They've got therapy, ice cream socials, bowling, a movie theater, a restaurant, and they go down there 3 times a day. Every hour and a half there's some type of activity. When we visited Three Oaks it was a nice place, but the only thing is that I was looking for a facility in which me and my wife could be together. She has a dementia and they told me that she has to go to the dementia unit while I would have to be in the assisted living area. The place was very, very clean. The staff were very helpful and very pleasant. I have no complaints about the place other than they want to separate us. Three Oaks is a wonderful place. It was very neat and very clean. The people there were fantastic, very professional, open, and friendly in talking to me about the needs of my two cousins. Even though I didn't choose this place, I highly recommend it. Three Oaks is smaller, I think it only had two stories to it. He like it and it didn't have the big activity. There's a small pool, just a little exercise room, a kitchen where they can go get foods to eat, a library, and a computer room. He like the accommodation, but it's too expensive. It had like a room you can rent if you want to have a party for your family, a dining table with enough room for a whole big family. The location and price are two of the many deciding factors why we are moving my parents to Three Oaks in a few weeks. The facility itself is very up to date. I like that it's very clean and they provide very, very good services. Their menus are good and very appetizing. I've seen some nursing home and extended care facilities over the years. I would say that Three Oaks is the best one I've ever seen. Three Oaks assisted living was actually pretty cool. My grandma used to live there (bless her soul) and we always knew she was treated with such kindness and courtesy. Sometimes you can tell when your relative has been treated poorly but is too afraid to say anything, but every time we went to go visit grandma she had such a huge smile on her face. She was usually hanging out with other people, it was actually really sweet. I think one time we had a dinner there for a holiday celebration and the food was actually pretty good too. I mean sometimes you watch things on TV and its all about senior citizens getting abused or taken advantage of at the senior center but not here. Each nurse and aide was so kind and helpful it was really quite wonderful. I'm so glad she was sent her she was so happy. Thanks Three Oaks! Three Oaks Assisted Living and Memory Care offers programs designed to promote physical and social health and to create a sense of well-being. Our services include monthly health screenings and blood pressure checks, complete on-site physical rehabilitation and occupational and speech therapy. To help foster a sense of independence, we offer dining with restaurant-style menu choices and service and a bistro for casual dining. Other amenities include a theater for ongoing resident entertainment, cozy lounges with fireplaces and a full-service beauty salon. We are always ready to lend a helping hand and to provide the best care for our residents. 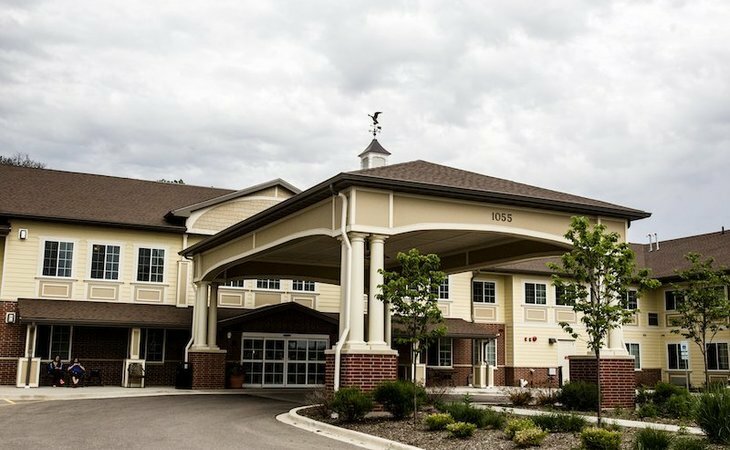 Our senior living community offers both exceptional assisted living and dementia/memory care along with the innovative At Your Service℠ hospitality, one-of-a-kind assisted living amenities and innovative activity. The affordable month-to-month rental program allows residents to enjoy comfortable living without a restrictive buy-in plan. What should caregivers and potential residents know about Three Oaks Assisted Living & Memory Care?